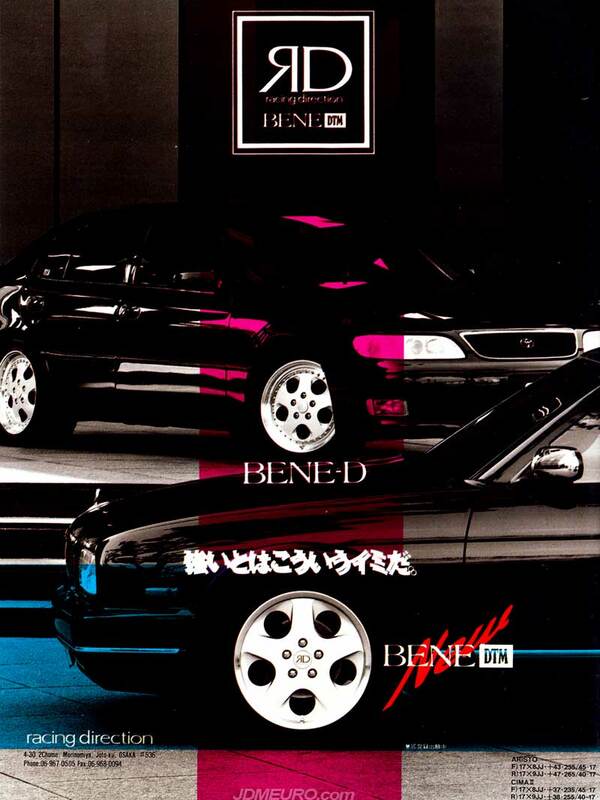 The Racing Direction BENE-D are JDM Wheels with a classy look. The Racing Direction BENE-D feature multi piece construction with a curved 5 spoke face and exposed rivets in sandwich mount style. The Racing Direction BENE-D also has recessed lug nuts and a nice stepped lip, popular of the time of construction. Pictured are the BENE-D on a FD3s Mazda RX7 in 17×8.5 / 17×9.5 fitment giving a nice meaty stance. 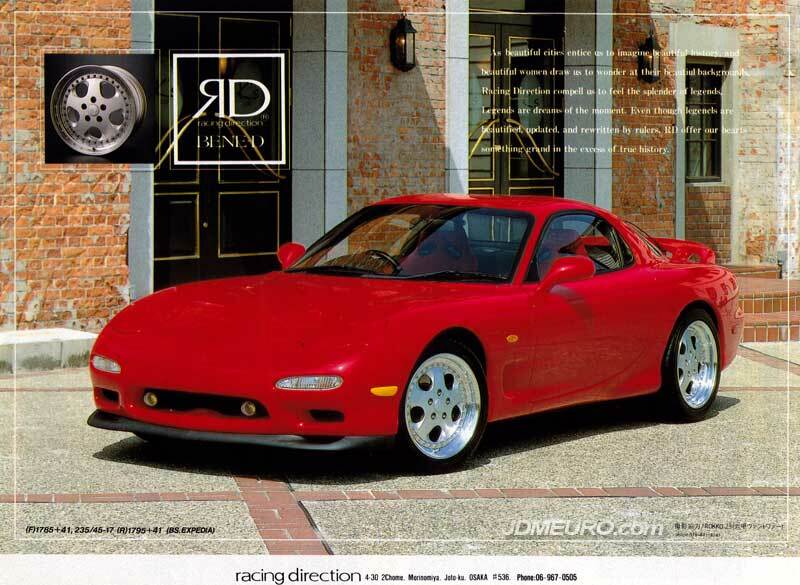 The Racing Direction Quattro are more of an obscure type of JDM Wheels. I really can’t say I have seen the Racing Direction Quattro online or in person, but they sure do look unique as most 4 spoke JDM wheels do. 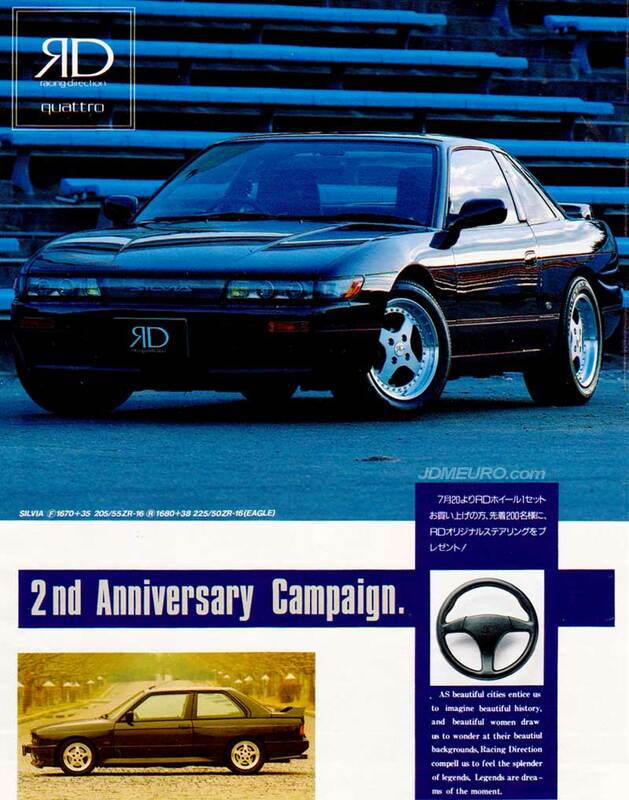 Pictured above are the Racing Direction Quattro on an S13 Nissan Silvia running staggered sizes 16×7 +35 and 16×8 +38; such consevative sizing compared to what people run today.